 IGA National Premier Leagues NSW Mens 1 side APIA Leichhardt Tigers will face Hyundai A-League 2014 Grand Finalists Western Sydney Wanderers on Tuesday 5th August at Leichhardt Oval as part of Tony Popovic’s pre-season campaign. The Wanderers will use the match against Billy McColl’s team as preparation prior to their Westfield FFA Cup Round of 32 match against Adelaide City at Marden Sports Complex on Tuesday 12th August before their Asian Champions League matches against Chinese side Guangzhou Evergrande on Wednesday 30th August. The Tigers will have a number of former A-League players on show on the evening with the likes of former Sydney FC players Marc Warren and Blake Powell as well as ex-Wanderers striker Joey Gibbs former Central Coast Mariners player Brad McDonald and former Wellington Phoenix striker Franco Parisi all are hoping to make an impression on the night. Along with their former A-League stars, players such as goalkeeper Andrew Bazi, long serving Tigers midfielder Stephen Kayes as well as Futsalroo Daniel Fogarty and Matt Mayora will be just some of the other names that will do battle against Popovic’s men. Played at Leichhardt Oval, the Wanderers will have the likes of Tomi Juric, Mark Bridge, Nikolai Topor-Stanley, Ante Covic, Iacopo La Rocca as well as new Brazilian import Vito Saba on show. Rockdale City Suns sent a strong message to the rest of their IGA National Premier League NSW men’s 1 counterparts with a 2-0 victory over Blacktown City at Lily’s Football Centre. The loss put Blacktown City to second on the IGA NPL NSW Mens 1 ladder on goal difference after rivals the Spartans defeated St George FC 6-1. Poor defending led to Rockdale’s two goals as Nikola Taneski and Paul Reid took advantage with fantastic strikes to prove their premiership credentials. Rockdale’s defensive structure was sound from the start of the match with Blacktown unable to break them down. City looked started the match much like their recent impressive performances with great interlink play. Five minutes later they were at it again with Toufic Alameddine volleying just over the bar. It took Blacktown 16 minutes to make it deep into Rockdale’s half when a brilliant Kearyn Baccus run ended in Travis Major flicking on for Mitchell Mallia whose cut back from the byline was well cut off by Paul Kohler. The home side started stringing more passes together and in the 21st minute captain Zac Cairncross rose well to head a Yianni Fragogiannis floating free kick just over the bar. Fragogiannis almost turned form hero to villain a minute later when he was dispossessed of the ball before Marko Jesic fed Taneski whose left foot effort skimmed the right hand upright. Paul Reid was the beneficiary of Blacktown’s failure to clear the ball from the box in the 26th minute, with the former Sydney FC midfielder stepping off to beautifully volley the ball into the top left hand corner to make it 2-0. Baccus again tried to spark his side in the 34th minute attacking down the right before cutting back to Travis Major whose shot was deflected out for a corner. Mallia was next to test the Rockdale defence in the 41st minute playing a lovely one-two with Major to find himself in the box but he could not find a teammate with his imposing cross. Blacktown City head coach Mark Crittenden made his intentions clear after the half time break immediately adding attacker Danny Choi to his line-up at the expense of Fragogiannis. The second half began at a slow pace however with neither side testing each other’s defence for the first 15 minutes. Blacktown made their way into Rockdale’s half in the 63rd minute but Cairncross again headed the ball over the bar. Two minutes later Blacktown was knocking on the door again as a Mallia free kick was missed by several attackers. Blacktown continued to push as Ryuji Miyazawa chipped the ball into the box for Jacob Poscoliero whose great half volley rolled just wide of the left hand post in the 70th minute. Giorgio Speranza was next in line to try and peg one back for his side but his volley went sailing well over the bar. With five minutes Mark Crittenden changed the shape of his team immensely reverting to three in defence to try and get something out of the match. Following the match Rockdale City Suns head coach Brank Culina said he was proud of his side’s efforts. “We’re a good football side and I think if we played all away games we would be on top of the table,” Culina said. “Blacktown City is a very good quality side, they were on top of the table until to today and credit to Mark (Crittenden) and the club. “But we are a quality side ourselves as well and unfortunately we don’t get the chance to play on a quality football pitch like this every week. “I think if we could score more goals we would be on top of the table as well. In the home dressing room Crittenden was lost for words after a poor performance by his side. “First half was really poor but I can’t take anything away from Rockdale I thought they were outstanding,” he said. “I think our pitch suited to them to be honest, they’ve got some really good footballers and Branko’s got them really well organised. IT WAS not a night either goalkeeper will look back on fondly as both Andrew Bazi and Matthew Nash made terrible mistakes, but it was Nash’s Bonnyrigg who escaped with a 3-2 win against a gallant APIA-Leichhardt Tigers at Lambert Park. APIA-Leichhardt played the majority of the game with only 10-men after Blake Powell was dismissed in the 31′ minute. Given that, it was a sterling performance from the ten that remained on the park throughout the entire 90′ minutes, but a late lapse meant that it was all for nothing. Aaron Peterson’s late header was like a dagger through the heart of those in claret and blue, who had worked so hard to try and secure a point. Bazi and Nash will want to forget their performances quickly though. After Peterson had given Bonnyrigg an early lead, APIA managed to haul themselves level through a well-taken Matthew Mayora goal. Then disaster struck. David Vrankovic’s cross from the right looked to be an easy take for Bazi, and should have been. Somehow though, the APIA goalkeeper managed to drop the ball backwards and it dribbled over the line, almost in slow-motion. Bazi stayed down and for a moment looked badly injured, but his pride would have been hurting more than anything, especially given how well he has played this season. For a while it looked as if he’d been bailed out by his opposite number, the usually reliable Nash. Only seven minutes after Bazi’s howler, Marc Warren’s corner floated in over the head of the Bonnyrigg gloveman, who also dropped the ball. APIA’s captain Michael West was on and to force the ball over the line and level the scores. A draw would have been the fair result. Instead, with 94′ minutes on the clock, Chris Tadrosse’s free kick was whipped in from the right, and Peterson applied the finishing touch. With Paul Galimi out, David D’Apuzzo returned in an unfamiliar right back role, while Brad Bartels moved into the centre where he played exceptionally well, winning the ball with aplomb and distributing nicely. Bonnyrigg flew out of the blocks and nearly took a fourth minute lead when Adrian Ucchino unleashed a shot from distance that crashed back off the cross-bar. It was a warning sign for APIA, and when Alexander Canak’s jinking run took him into the area it looked certain that he would score, but his composure deserted him as he lashed over the bar. The pressure tolled when Peterson opened the scoring in the ninth minute. The Bonnyrigg striker was given too much space to line up a shot from 25 yards and he duly obliged, firing into the bottom corner with the aid of the post. For a few moments it looked as if the White Eagles would run away with the game. Peterson shot again from just inside the box and hit the post but this time the ball bounced to safety. It took a while for APIA to find their stride, but they had a decent chance to equalise in the 18′ minute. Mayora’s strength was telling at Rockdale last week and he was again excellent. His cross from the right found the onrushing Brad McDonald, but he couldn’t tame his shot and it flew wide and high. Just after the half hour mark, Powell received his marching orders, receiving a second yellow card for an offence that seemed to be nothing more than a minor disagreement with a Bonnyrigg defender. Nevertheless, the APIA striker took an early shower. With 38′ minutes on the clock Bonnyrigg again had a chance to extend their lead and once more they were denied by the woodwork. D’Apuzzo’s mistake gifted an opportunity to Peterson, but he wastefully hit the bar with the goal at his mercy. APIA regrouped and scored an excellent equaliser just five minutes after the break. McDonald took too long when one-on-one with Nash, who produced a good save, when the ball came back to the right hand side for Daniel Fogarty. The live-wire winger cut the ball back to Mayora, who hit a sweet first time volley into the bottom corner. It was a deserved goal for both APIA and the player. But in this match, drama was never far away. Only two minutes after Mayora’s goal, Vrankovic’s cross from the right drew out Bazi’s horrendous mistake, though to his credit he did recover with a few late saves. Then, as APIA were wondering there their luck had gone, Nash obliged with his own blooper to gift West a rare goal and make the score 2-2, a minute shy of the hour mark. The match settled thereafter and it was Bonnyrigg who was trying to score with APIA content to try and hit on the counter-attack, the clever ball play by Bartels a feature. Fogarty raced clear in the 82′ minute and shot powerfully towards goal, but he was denied by the alert Nash. Two minutes later, Younis was denied by Bazi, as both goalkeepers traded saves this time. A minimum of three minutes added time was indicated and it was in the 94′ minute when Bonnyrigg was awarded a free kick on the right. Tadrosse stood over it and delivered a curling ball onto the forehead of Peterson, who glanced his header into the back of the net. A game that was full of drama had a fittingly dramatic ending. Bonnyrigg coach Brian Brown was bitterly disappointed at his side’s second half performance, despite managing to steal three points. "It could have been all over in the first 30 minutes, but the second half performance was unacceptable," Brown said. "We stopped playing completely. You’ve got to give APIA some credit for their effort. "I’m actually upset, not relieved. The only good thing about this game was the three points. The performance, particularly in the second half, was completely unacceptable." APIA-Leichhardt coach Billy McColl was proud of the effort his ten-men displayed and thought they were good value for a point or three. "The boys played well, especially playing with 10 men for so long," McColl said. "I’m proud of the commitment shown by the 10 players. I thought the sending off was a bit harsh, but the referee has to call it as he sees it. "It was a fantastic effort, full of grit and the right attitude. In the second half we exposed Bonnyrigg and with a bit of luck we could have beaten them." A PLEASANT evening in Bossley Park saw Marconi Stallions take on local rivals Sydney United 58 in the traditional derby that ended with honours even. As expected the opening minutes were turgid and harsh and played at a frenetic pace with each trying to out-muscle the other to gain the upper hand. Stjepan Paric played a short corner to Chris Triantis and his cross found the United 58 strike force offside in the fifth minute of play as the visitors attempted to create the first telling opening of the match. Marconi had their first effort well stopped by Anthony Costa in the 10’ minute when Milorad Simonovic shot at goal. Mirjan Pavlovic replied three minutes later, shooting wide with Alec Urosevski haring through the middle with blistering pace for a ball that never arrived, the early pass perhaps was the better option. Urosevski did well to control the ball moments later when finding space against two Marconi defenders only to scuff another shot at ‘keeper James Chronopoulos. He followed this up less than sixty seconds later with a better shot but again straight at the Stallions custodian. The visitors were getting into better position in front of goal but final ball option and a series of scuffed attempts saw the score board unused but it was surely only a matter of time before a break through from one of the protagonists. Marconi, playing out from the back, were picking their passes in playing controlled football but the moves broke down around the edge of the area as United 58’s defence closed the gaps with some aplomb. They never looked stretched as the Stallions probed for an opening. Urosevski played a first time ball in mid air for Pavlovic whose first touch took him beyond the Stallions defence and Chronopoulos but just too hard to control legally to find the back of the net on the half-hour mark. It was a majestic through ball that beggared belief from the rising star Urosevski. Like two Chess Grand Masters it was attack and counter in an equally balanced tie, each knowing the others game and moves and balancing their actions which for the purist was fascinating but for the fair weather fan somewhat of a let down. In the final minute of the half Ante Tomic stole the ball and rounded his marker to send in a left footed looping cross to the back stick that was headed woefully wide at full stretch for United 58 leading to scoreless first period and all to go for in the second stanza. Marconi were content to sit back and soak up the pressure it appeared, whether by fault or design, and then hit on the break and they did it well in the opening period. Pavlovic forced Chronopoulos into a fine full length save in the 47’ when spinning in the box that had the ‘keeper down smartly to his left to palm clear. The response was immediate when Shu Susaki broke down the left and centred for Simonovic whose effort had Costa pulling off a smart reaction save as the game sprang into life. A Jared Lum corner was skied over the bar, and almost out of the ground, in a well worked routine by Ali Haydar in the 53’ much to the disdain of the gathered Marconi faithful however chances were starting to come thick and fast. Paul Carter replaced Lum with Marco Sama in the 57’ in an attempt to shuffle his attack but it almost backfired when Pavlovic was found with a long pass out of defence and blasted toward the target only to see Chronopoulos again manage to hold on to the ball as the play became stretched. The deadlock was finally broken when Pavlovic powerfully found the net for United 58 in the 69’ minute to give the visitors a deserved lead. Sama should have restored parity almost at once but fired straight at Costa in the visiting net. Apart from the occasional highlight the remainder of the game was as tense as the preceding minutes with half-chances the best on offer and little in the way of goalmouth action. Marconi sub Brenton Rhodes found time to make his way into the book for a foul on Urosevski late on but the final whistle blew and visiting United 58 grabbed the bragging rights or would have but for the final minute of the game when Marconi were awarded a spot kick that saw Sama net the equaliser after Stamatellis was adjudged to have handled in the area. Paul Carter stated afterwards: “I’m too far away to comment on penalties but the referee was pretty adamant about it and I think the draw was a fair result. I don’t think they really threatened us except from corners and free-kicks hut having said that I don’t think we really pounded them either. It was a bitter pill for United 58 coach Mark Rudan who confided: “It’s been the story of our season this year, another last minute goal conceded. I thought we deserved the points. We created more of the opportunities, threatened more throughout the game and it’s another one that got away. IT wasn’t pretty, but Manly United FC didn’t care after beating South Coast Wolves 1-0 on Saturday night at Cromer Park. Substitute Jack Green grabbed the winner on 86′ minutes in what was at times a spiteful encounter on the northern beaches. The home side started brightly and could have taken the lead on 10′ minutes. Daniel Saric whipped in a ball from the left which fell invitingly at the feet of Jimmy Oates, but the one time Central Coast Mariners utility blazed over the crossbar from 18 yards. 8′ minutes later the industrious Josh Ward went close for Manly from distance, and it looked a matter of when for Paul Dee’s men. On the half hour mark Dylan Mitchell kept United in the contest with a wonder save from point blank range. Michael Robinson had a header which looked destined to find the back of the net, only to see goalkeeper Mitchell brilliantly tip the effort over the crossbar. With 36′ minutes played Wolves striker Peter Simonoski went down in the area, but referee Michael Weiner was having none of it, waving play on. The second half began as a cagey affair early on, with both squads committed to keeping the ball. On 63′ minutes Brendan Cholakian created a chance from nothing, but his shot skewed wide of the target. Moments later Chris Payne went even closer as Manly showed their intentions. Wolves substitute Chris Price could have been the hero seconds after coming on, but his shot flashed wide after 76′ minutes when Mitchell cut the angle. Simonoski beat Graeme Forbes for pace following a through ball on 84′ minutes, but his shot finished comfortably wide. Green showed how it was done when he took a touch from Cholakian’s corner and lashed home from six yards seconds later. Wolves defender Michael Robinson capped a night to forget for the away side when he was sent off at the death following a shocking tackle on Oates. Manly boss Paul Dee was delighted to snare three points on home soil. "It was a really tough win, we had to grind out the result,” he said. "Wolves are a tough team to play, they are very physical, you could see some of the heat in a few tackles. "Hopefully we can jag a couple of more wins now so we finish around the 24 point mark." His opposite Nahuel Arrarte pointed to naive defending as the difference. "It was a tight game, one goal was always going to be enough to win it,” he said. "To leave a player unmarked at the far post from a set piece at this level is unforgivable. "We will put this result behind us and move on."